Ho, ho, ho gadget fiends, can you believe it is only two and a bit weeks to Christmas? Hopefully you’ve been really good all year and Santa brings you all of the tech toys you truly deserve. What’s that you say? You still haven’t sent Santa your Christmas letter? Well you better get onto it. But first, feel free to draw inspiration from this random list of cool tech toys for Christmas that suit just about any budget. Starting at the top of the price range we’ve got two terrific televisions followed by a couple of top tablets. 1. 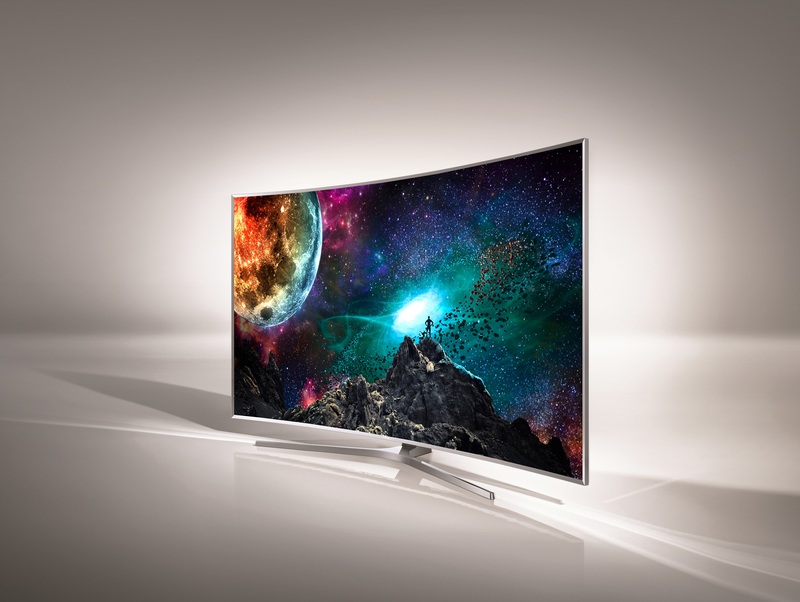 The standout TV of the year might just have been the Samsung Curved SUHDTV. It’s packed with all of the tech you could ever want, from a massive curved screen and nano crystal colour technology all the way through to Tizen powered smart TV apps including the popular Netflix and Youtube apps. The top of the range curved 65″ TV is in the market for $6,599. 3. The Microsoft Surface Pro 4 from $1599, is powered by Windows 10 and turns from a tablet into a full powered laptop while running all of your desktop software. Fans of the Surface Pro 3 are going to love the better specced Pro 4 (12.3 inch pixelsense display making it beautiful looking as well as very fast). 4. Next up we have the Apple iPad Pro which ranges in price from $1399 to $1899 depending on memory options. Described by the 9to5Mac website as a “giant expensive tablet with a couple of pricey accessories”, this is the brand new 12.9″ ipad. Screen as big as a laptop, optional Apple Pencil $189, and Apple Smart Keyboard $319. The components are so powerful it can virtually replace your laptop. These are both great devices but they do different things. The iPad pro is my favourite iPad, but if it came to doing work on the go, I’d plump for the Surface Pro 4. 5. Christmas in New Zealand also means summer. And summer means BBQ’s. This year we were pleased to welcome Green Mountain Grills to the grilling landscape. The $1399 Daniel Boone grill is a perfect heated smoker that also has the advantage of being wi-fi enabled so you can control all of the settings remotely from your smartphone or tablet. Two gadgets that really stood out this year were the ubiquitous Hoverboard (6.) and the Star Wars related toy BB8 (7.). Hoverboards seemed to show up out of nowhere and appear all over megastars social media accounts, from Justin Bieber to Kendall Jenner. However with the latest concerns in the media being around the potential for some boards to catch fire while on charge, I have removed them from this list. Please see my explanation here. 9. The Apple TV has had a makeover. With the Apple TV Remote with Touch surface, a new interface and the App Store, where you’ll find games and apps that changes what you expect from your big screen.Apple TV $299 32GB and $399 64GB. 10. Parrot Minidrones give you plenty of options as they range in in price from $179 to $329. Great as gifts for teenagers (or for never-quite-grew-up-dads) plunge into the era of connected toys with the second generation of Parrot Minidrones. These advanced, miniaturized robots are piloted with a smartphone or a tablet via the free piloting app, FreeFlight 3. The 13 different drones fall into 3 categories, the wheeled ones that can jump, mini flying drones and a new range – the Hydrofoil, which allow you to attach a flying drone to a boat so you can speed boat around a pond. 11. Meccanoid G15 Kid Size Programmable Robot $229 ages 10 and Up. The small version of the amazing educational toy we had on Breakfast earlier this year when the prototype visited Motat.The Meccano Meccanoid G15 KS Personal Robot comes with over one thousand phrases and voice recognition to make your personal robot more like your best friend. Build, program and play with this fully operational, 4-foot-tall robot, with life-like articulated limbs powered by 10 motors for realistic movement. As with any Meccano product, you can take the pieces apart and re-create. Rebuild Meccanoid as a dinosaur, or anything else you can dream up. The teenager in our house has been lost in this game (figuratively) for the last two weeks. I’ve just dipped my toe in and can’t wait to experience the rest as it is visually stunning. 13. UE Boom 2 Bluetooth speaker $299, Available from Noel Leeming etc. What more can we say about these cool speakers? Building from the award-winning UE BOOM 360-degree speaker that Ultimate Ears introduced in 2013, UE BOOM 2 is 25 percent louder with a longer wireless range of 100-feet and a completely waterproof design, so music can be shared on the beach, at the snow, and everywhere in between. It has a 15-hour all-day, all-night battery life, plus, new and innovative tap controls that allows users to skip songs, without needing to have a phone in-hand. 14. Satzuma Gadgets USB Fridge, 34.99 and 15. Robot USB Hub, $25 from Playtech. The Robot Hub has 4 USB ports where you can plug in your mouse, keyboard or any other USB device without having to use up all your USB ports on your computer. The USB Cooler is the envy of any office worker who likes a cold drink. The cooler has a slick retro appearance and will keep any can nice and cool ensuring you can stay at your station for longer. Get ready to have a great time with Aud Mini Party! This portable rubberized Bluetooth speaker is integrated with multicoloured LEDs that bring your party to life by providing a fun visual and aural experience. The LEDs flash and strobe in multiple dazzling colors, and can be cycled through six preset lighting themes. Phew well that’s quite a list, and I could have added dozens more. Hopefully it gives you some idea as to what’s available and you end up with the perfect present under the tree. All up, you could spend a lot of money on these toys, but if you want to spend money on something more meaningful, I highly recommend putting a bit aside and donating to a couple of charities that really need your help (at this time of year especially). Top of my list, the Auckland City Mission and Women’s Refuge. Your money will certainly be put to good use. That’s it from me this year, I hope you all have a safe and happy holiday season! Music fans visiting Melbourne between now and November 1st have a new ‘must-visit’ destination. 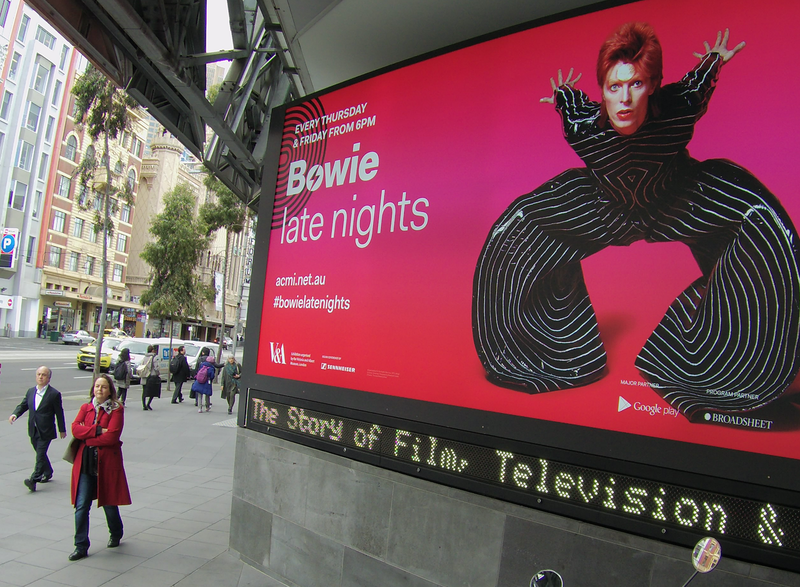 The highly regarded exhibition “David Bowie is” opened at the Australian Centre of the Moving Image today following a sell out run in cities such as London, Chicago, Paris and Berlin. We were lucky enough to get tickets to the first session on the first day and were really glad we made the effort. The Melbourne exhibition is a two hour total immersion in the life of the man who started out as Davie Jones, but over the years took on many other personas. The show charts Davie’s progress from his early days as South London advertising executive with a penchant for mime, through to the musical and artistic legend we know today. Winding through a dark hall you get to experience many aspects of his art with an audioguide and view a rich collection of memorabilia and artefacts. You see the music notation books he used to teach himself songwriting as a young man, and the original copies of some of his most iconic lyrics; Fame, Fashion and Ashes to Ashes to name just a few. Some of my personal favourite items from the vaults were a vinyl test pressing of the first Velvet Underground album given to Bowie’s manager Ken Pitt by Andy Warhol in 1966, a synthesiser Brian Eno passed down to Bowie after they had produced the Berlin trilogy Low, Heroes and Lodger and also Bowie’s painting of his companion while living in Berlin, James Osterberg (also known to music fans as Iggy Pop). It is hard to fathom just how many musical legendary leylines are intertwined in these objects. It’s like witnessing the late 20th century’s musical big bang. As you would expect from an exhibition that started life at the Victoria & Albert museum there are costumes at every turn. There’s the gender bending “Rabbit” suit worn by Ziggy Stardust (and later worn as a homage at the Brits by Kate Moss) a special video cabinet showcases the multi coloured suit he wore here performing Starman on TV in 1972; but beyond the outfits you also get to hear what the inspiration behind them was. It goes along the lines of adopting kabuki and mime metaphors to project a physical manifestation of art, or something a critic with a better grasp of the language could more eloquently explain. As you navigate the show and audio “GuidePort” plays content triggered by beacons. You get to hear and view many gems of pieces of audio/video material linked to the phases of his development, whether it’s the mime support act for Marc Bolan’s “Tyrannosaurus Rex” or the strange Saturday Night Live appearance where he and his Plastic suit were carried to the microphone by assistants. For the final portion, you hand back the headset and get to stand in a hall and experience the “live” element of the show, a multi media happening with footage from one of his last shows as Ziggy Stardust at Hammersmith in 1973. The overriding feeling I got from the exhibition was how Bowie more than any other artist, kicked against convention and forged new paths away from the traditional, away from the mundane. We are on this planet for only a short time, very few of us will live our lives to the extent that David Bowie has managed to live his. We are all richer for having had him with us. “David Bowie, he did it first and he did it best” Jon Toogood, Shihad, Planet of Sound show on Hauraki. FreeviewPlus has just launched in New Zealand and there are two ways to get it. 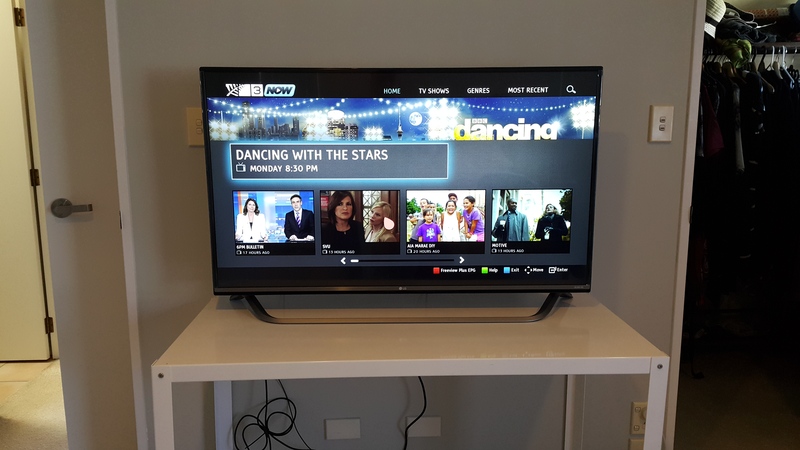 If you are on a budget you could buy a decoder for $159, but if you are after something a bit special, you could splash out on a hot new TV with the feature built in. LG has produced one of the first TV’s on the market with built in FreeviewPlus and this one’s a goodie. The $2,000 49UF770V (catchy name!) not only has the special combination of Freeview with OnDemand built in, it also has an amazing Ultra High Definition screen with the ability to upscale content. Get one and you may never leave the house again. What has the TV got? Well it’s a 4K Ultra High Definition TV with a fancy processor that ensures the screen has superior colour, contrast and clarity of image. Okay, so one of the criticisms of Ultra HD TV’s is the lack of 4K content you can view on the screen. Well while you wait for that to happen you can still enjoy content, whether it’s streamed or pumped in from a BluRay because the LG processor upscales the source content to create clearer more striking images. It does this without making them look superficial. Of course, being a smart TV it needs an operating system, and this one has webOS 2.0. This gives the user fast access to many of the special features in the TV and access to popular apps such as YouTube. 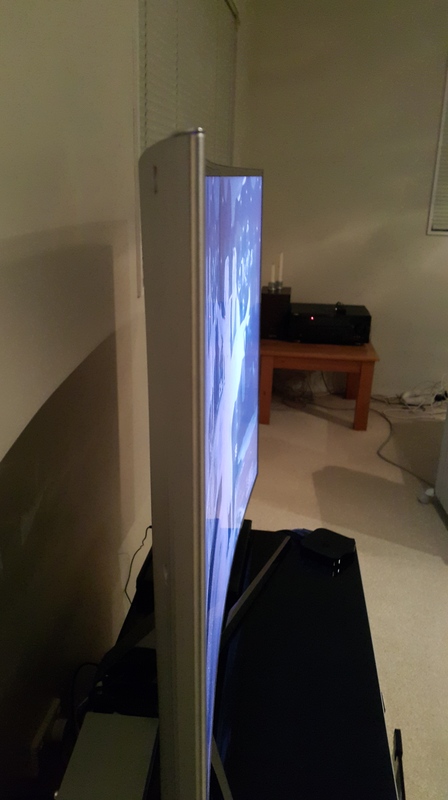 Despite the smarts and the quality of the image, we were more concerned with what it was like to use FreeviewPlus on the TV, so once the unit was assembled (with a fairly complex stand arrangement) we cracked into the review. Luckily, we are in area that can access Freeview HD (87% of the country can do this) which is a prerequisite for using the service. To access FreeviewPlus you also have to have a UHF aerial and a broadband connection. You can get the internet to your TV via wifi, ethernet or through a broadband over powerline adapter (sold separately). There’s one trap for new players; I’m not sure if Freeview Plus will be immediately obvious when you start up your new TV. On our review model the setup process included the following steps; plugging in the aerial; scanning for stations; going into settings to connect to broadband over wifi; go back into settings to find HbbTV and turn that on. Once all that was done we could browse TV and then click the red or green button on the remote to launch the Freeview Plus EPG. It seemed to take a while to launch properly the first time we used it, presumably as it downloaded the necessary guide information from the net. From there in it was all smooth sailing. FreeviewPlus allows you to see what’s coming up on the 20+ stations for the next 8 days, and browse On Demand content for the previous 8 days from TVNZ, Mediaworks and Maori Television. This is Freeview Plus’s greatest achievement – that it brings the catch up TV services from all of the players into one easy to use application. It’s no mean feat; even in Australia only one channel is on Freeview Plus so for NZ to have three is a major positive. You can access the EPG (electronic programming guide) by clicking the red or green button. You can navigate forwards to see what’s coming up and set reminders for what you want to watch. The fun stuff happens though when you navigate back in time, to see which programmes you’ve missed. The guide shows you all listings for the previous 8 days and if any of the programmes are available on OnDemand they will be highlighted. As committed MySky users we adjusted really well to the FreeviewPlus. The system was intuitive to use and we found ourselves watching much more free to air content than we usually would. Strangely we didn’t mind watching the adverts (you know, those things that put the Free in Freeview) and in fact the pre-rolls looked great on the big screen. Advertisers will be pleased to see their big budget creations in their natural environment. If we could request one thing it would be a dedicated position on the remote control for FreeviewPlus. From time to time we hit one of the other buttons and ended up in the LG smart settings or the TV’s own station guide rather than the FreeviewPlus EPG. Perhaps future models will have that. 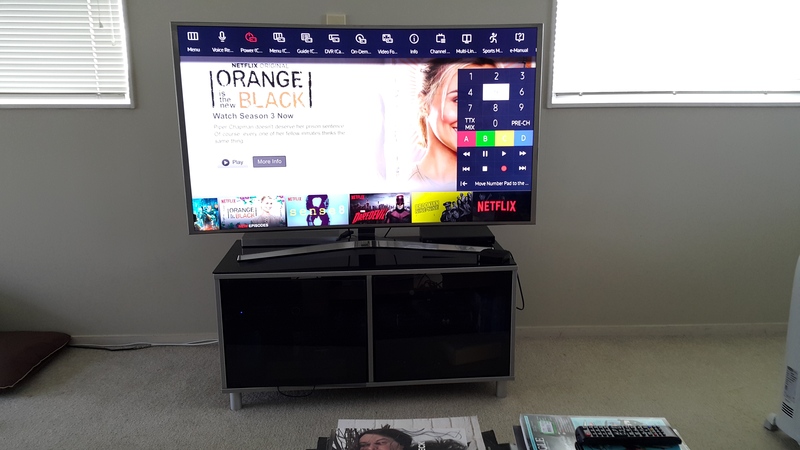 Certainly it’s great that LG have been able to get such a quality TV to market with the addition of an excellent service that most kiwis who want to watch TV without a subscription will enjoy. First look at the LG49UF770V – a 49 inch Ultra HD smart TV with FreeviewPlus built in. Once the TV is ready go, jump into settings to connect the TV to the internet. Then go into settings to enable HbbTV, the standard that FreeviewPlus is built on. Now you can access FreeviewPlus’ EPG, showing the next 8 days of programmes and the previous 8 days. Any programmes that are available in OnDemand will be highlighted. Select theOnDemand programme directly from the EPG. Then click to get options for different streams. Select and off you go. If you prefer you can launch each of the individual network’s apps (Mediaworks, TVNZ, Maori Television). As well as FreeviewPlus, the LG 2015 Smart TV’s have a full range of entertainment apps built in (and more that can be downloaded). 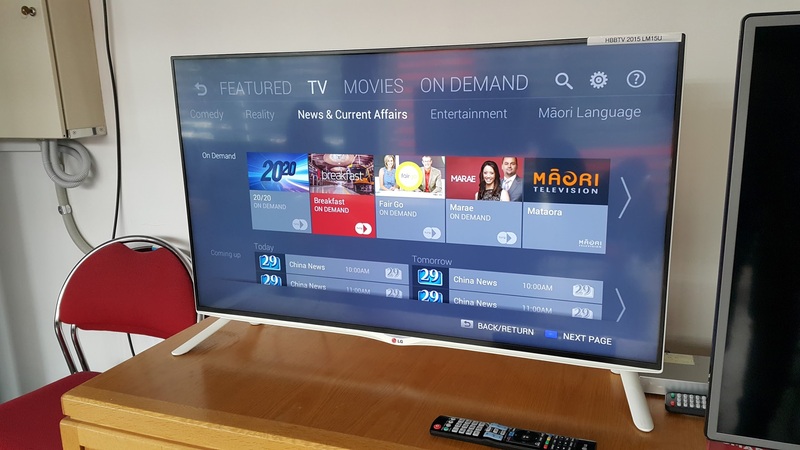 New Zealand television viewers have a new way to discover and enjoy content with the launch of FreeviewPlus, a service that lets users flick between live TV and On Demand at the touch of a button. 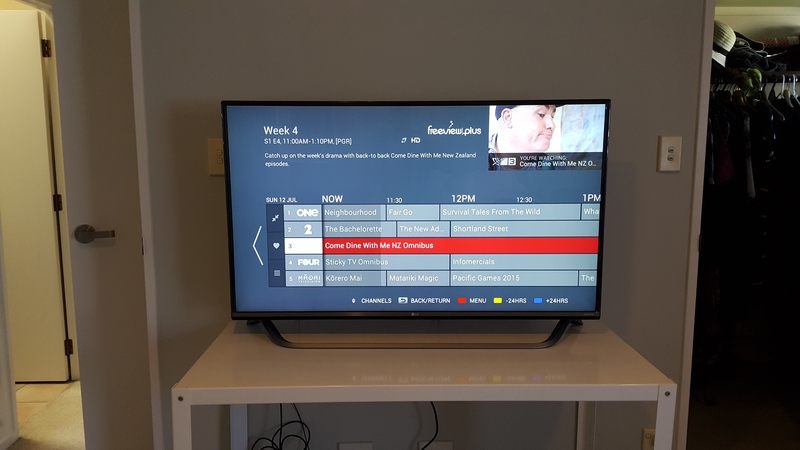 FreeviewPlus viewers can catch up on shows they’ve missed, look through featured content and search or browse through loads of shows from all of the live TV channels and TVNZ OnDemand, 3Now and Maori Television OnDemand using one intuitive on-screen guide. The electronic programme guide displays programmes that are coming up in the next 8 days but it also displays over 600 On Demand programmes and movies from the previous 8 days. 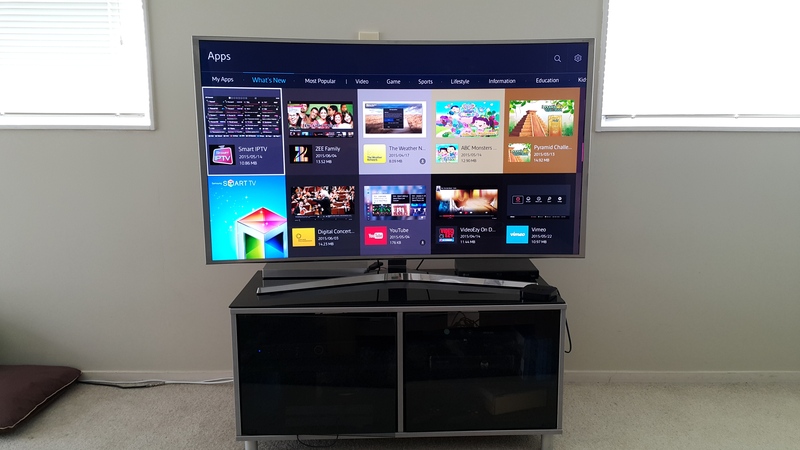 Viewers can experience the convenience of navigating through all the content without having to use a computer or jump into another app on their smart TV’s. At a time where traditional TV is experiencing “digital disruption” in the form of Streaming Video On Demand (SVOD) services like Netflix and Lightbox, the free to air networks have been keen to collaborate on this new innovation based on the open HBBTV standard. Advertisers too are likely to be happy as FreeviewPlus makes it easier for people to view even more of the network’s ad supported content. 1. Check your coverage: You need Freeview HD coverage (87% of people have this). To find out if you are in a Freeview HD coverage zone go to http://www.freeviewnz.tv/coverage and put your address in. 2. Check that you have a UHF Aerial and Broadband: The UHF aerial picks up Live TV and the broadband streams On Demand. 3. Get a FreeviewPlus TV or Box: Most manufacturers 2015 range smart TVs will have FreeviewPlus built in. 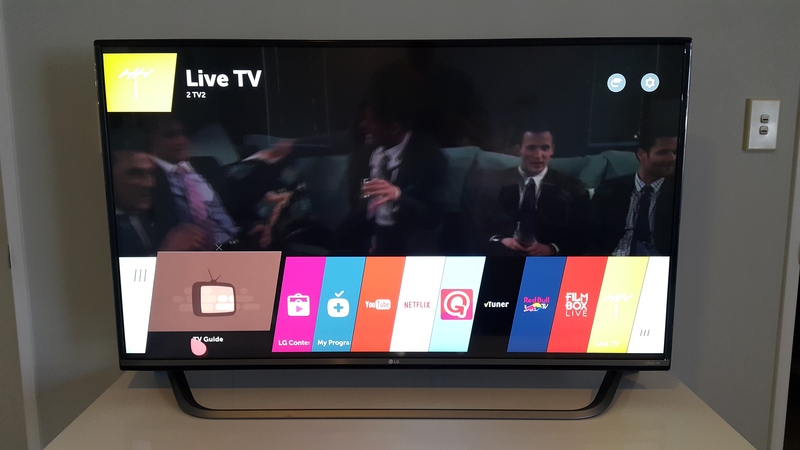 Most of LG’s 2015 models and some Panasonic models have FreeviewPlus enabled models already, more models from Panasonic, Samsung and Sony will be enabled in the coming weeks. If you don’t want to buy a new TV you can buy a set top box for $169. You will also soon be able to buy a MyFreeviewPlus PVR that can record your programmes too. 4. Connect to your UHF Aerial and Broadband: Plug your UHF cable into the TV and tune the stations, then connect it to your home broadband in one of three ways – wifi, ethernet cable or powerline adapters (bought separately). 5. Watch some TV: Press RED to load the FreeviewPlus guide, or GREEN to go to that channel’s OnDemand service. What are the main features of the service? What channels are on FreeviewPlus? As well as OnDemand from TVNZ, Mediaworks and Maori Television, viewers can watch the following channels live: As well as OnDemand from TVNZ, Mediaworks and Maori Television, viewers can watch the following channels live: one, 2, 3, 4, Maori television, 1+1, 2++1, 3+1, 4+1 Prime, The Edge, Te Reo, Al Jazeera, Choice, TVSN, Yesshop, Parliament , Firstlight, The shopping channel, CTV8, Channel 29, TV33, Channel North (Whangarei only), APNA, Channel 39 (Dunedin only); Canterbury TV(Canterbury only), TV Hawkes Bay(Hawkes bay only), Radio New Zealand National and Concert and Base FM. What is the technology behind the service? The new service FreeviewPlus uses the open software standard built into the TV or set top box known as HBBTV, Hybrid Broadcast Broadband TV. What it does is combine Internet catchup TV into the television set or freeview|HD set top box. It’s a great new innovation which will allow people to access more and more free to air content. What is the potential impact on viewing habits? The trick that Freeview Plus performs is that it makes it easier for you to see the vast array of content available on free to air television. The fact that it’s easy to organise, view, save favourites and find more content like the stuff you like, will probably mean people end up watching even more content this way. How are Kiwis viewing TV currently? The most recent figures from Sky show that 794,000 homes subscribe to Sky while 529,000 of those use a MySky recorder. According to Freeview 1,268,000 households have Freeview while an estimated 165,000 of thise have Freeview recorders. A 16 megapixel rear camera with an F1.8 lens for better pictures in low light situations. An infrared-sensitive colour spectrum sensor that analyses and measures all of the visible light within a scene before a shot is snapped. An IPS Display that produces high-contrast, vibrant images. 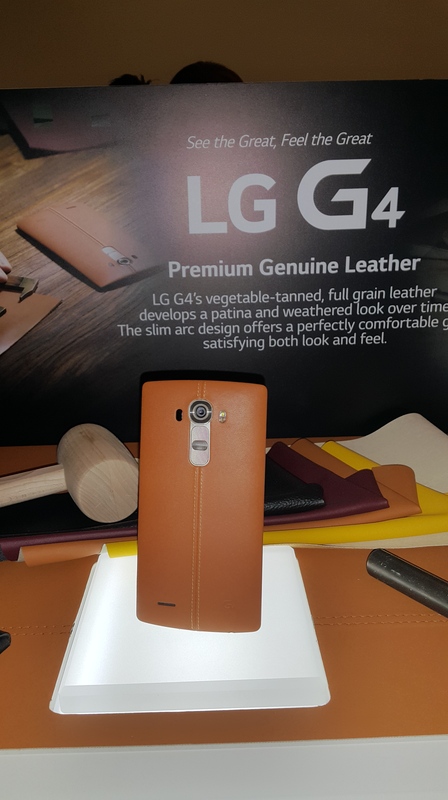 The G4 also comes with a selection of premium back covers that come in textured grey and full grain leather in black or brown. Unlike competitors like the iPhone 6 and the Samsung S6 the G4 features a removable battery and a micro-SD card slot, something Android fans have long come to expect. As you can see from the shots below the G4 has a larger screen. At 5.5 inches it is the same size as the iPhone 6 Plus but not as large as the 5.7 inch Samsung Galaxy Note 4, my current phone of choice. This particular selection of phones is quite interesting because of the difference in colour reproduction. The G4 like the G3 before it has quite a clean but cool look about it. The Samsung Note 4 with it’s Super Amoled screen has richer colours which puts people off (but I like it). The iPhone is perhaps the Goldilocks phone because its colour rendering is just right. The G4 display is Quad HD however and there’s no mistaking the detail and the quality of the image or video reproduction. From the front it is hard to tell the difference between the G4 and the other phones, but flip it over and you’ll notice the rear mounted on/off switch and volume rockers. Of course you will also notice that distinctive genuine leather-skinned back panel. I’m often asked which phone I would recommend and every month I find it harder and harder to pick one phone. 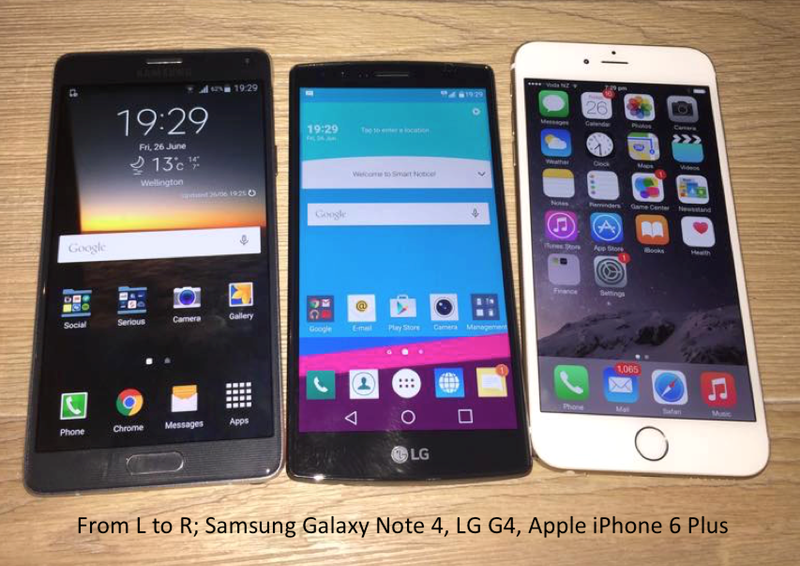 Todays consumer is spoiled for choice as the top notch phones just become more consistent and packed with features. 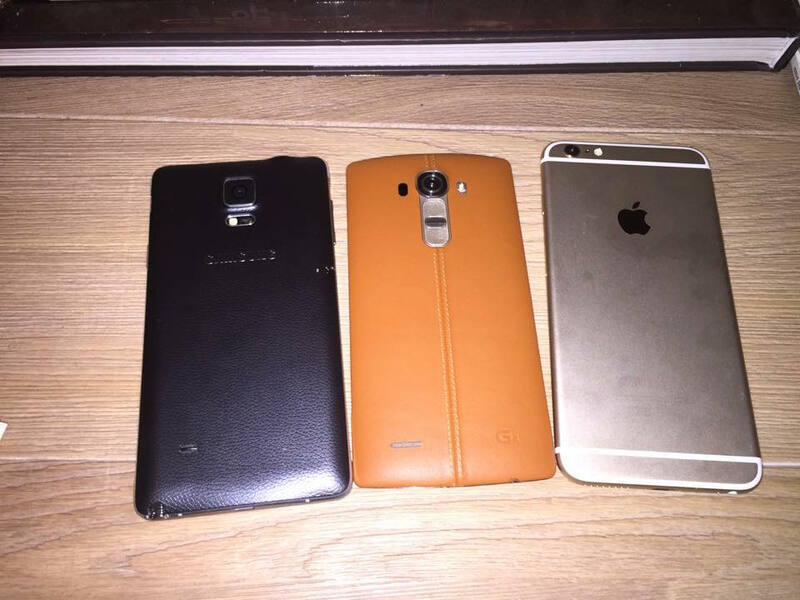 So what would I say about the LG G4? It has a unique look about it which makes it stand out from the competition. The rear mounted controls also give it a point of difference and you can’t go past the quality of the screen and camera. I like the fact you can change the battery out (if you are one of those people who are paranoid about power and like carrying a spare battery) and the fact that you can add in an SD card. If you definitely want an Android phone, and want to stand out from the crowd (a little bit) then the G4 should be in your consideration set as it is one of the best high end phones on the market in 2015. Curved large screen TV’s are so hot right now, but the debate rages as to whether that curve adds to the viewing pleasure or is merely a gimmick. One authoritative voice who should know about this is Netflix’s Chief Product Officer, Neil Hunt. He published a post last week that essentially said curves are good because they help ensure that pixels are presented at right angles to the viewer, improving clarity. Well he puts it better than that (you can see his post here) but I think I’m convinced. I’ve certainly become a convert with the Samsung SUHD curved TV I have been testing for the past month. The picture is amazing thanks to the nano crystal colour technology (Samsung’s term for what others call quantum dot) and the colour reproduction which is 64 times better than conventional Samsung TV’s. The minimalist and modern design which they say mimics contemporary art and architecture in a curved, stylish body. The easy to use Tizen operating system which provides quick and easy access to TV functions. The large range of apps which include Netflix, Youtube, TVNZ and Mediaworks On Demand for extra video content. Rugby heads will love the Rugby Mode feature which allows viewers to stop, rewind, replay game highlights, zoom in on camera angles, and essentially be the referee in their own living room, just in time for the 2015 Rugby World Cup. 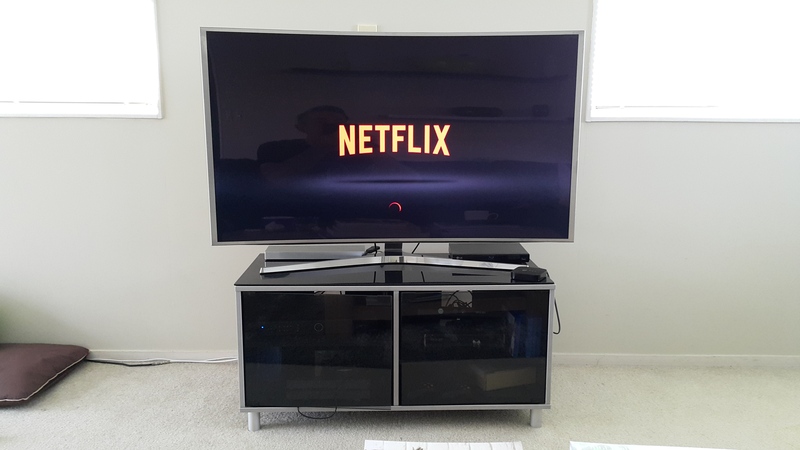 I’ve tried a number of curved 4K TV’s in the past and I’ve found them pretty overpowering. In the same way Family Guy’s Peter Griffin disliked the Godfather (“it insists upon itself”) I felt that the big screen curved TV’s demanded you noticed them and drew you out of the moment. Somehow Samsung have addressed this issue with the 2015 SUHDTV; you just enjoy looking at the beautiful content, and it’s only after you turn off the TV that you notice how lovely the screen’s form factor is. It will certainly be missed when the review period finishes and we have to go back to “normal” high definition viewing. Samsung are offering three new series of SUHD TVs – JS9500, JS9000 and JS8000 – in six screen sizes from 55-inches to 78-inches. From the side you can really make out the arc of the curve. Head on, the effect of the curve is almost subliminal. Here you can also see the operating system (based on the Tizen software platform). There are a number of apps preloaded (including Netflix) and hundreds more available to download when connected to the internet by ethernet or wifi. Samsung SUHD TVs demonstrate groundbreaking advances in contrast, brightness, colour reproduction, and detail to deliver an overall superior picture quality experience. The nano-crystal semiconductor transmits different colours of light to produce the highest colour purity and light efficiency available today, providing viewers with 64 times more colour expression than conventional Samsung TVs. The SUHD re-mastering engine automatically analyses the brightness of images to minimise additional power consumption. The engine can produce darker blacks, an elevated brightness up to 2.5 times brighter than conventional Samsung TVs, and twice the colour adjustment points for a more accurate colour display. Taking cues from contemporary art and architecture, Samsung’s curved SUHD TV screens are inspired by modern and minimalist designs to provide an attractive and immersive home entertainment experience. The JS9500 model will feature Samsung’s chamfer bezel design, adding more depth to the TV screen, and making the TV look like a piece of art. The JS9000 model has a soft, textured shirred design on the back, ensuring the TV maintains its stylish edge from any angle. · The hub of the Smart Home – Tizen’s compatibility with other devices establishes Samsung’s Smart TVs as the control centre of any Smart Home. Following on from the success of the UE Boom and its big brother the MegaBoom, UE have released the UE Roll. How would you describe the shape of this Bluetooth connected music pumper? From above it’s a perfect circle but in profile it looks like a flying saucer. Despite it’s name it’s not designed to roll. What it is designed to do is to play music anywhere. And by that I mean anywhere you wouldn’t normally be able to take a speaker. It’s waterproof and dustproof so you can take it with you with you while kayaking, skiing or mountain biking. It has a built in bungee so you can attach it to almost anything, a backpack, a belt-strap, the handles of a bike. As you can see from the promo video below, the UE Roll can be used to pump out the jams in outdoor locations. I might not be a cool kid but even I found a use for it. Because it’s waterproof I was able to listen to my favourite Spotify playlist while in the shower, continue to listen while preparing for the day, then keep it playing in my car, just hooking it over the rear view mirror before driving to work. Simple. Expect to pay $169.90 when it goes on sale in July. Available in a range of colours. Tech specs are below the video. IPX7 rated: UE ROLL can be immersed in liquid up to 1m for up to 30 minutes. Rechargeable Lithium-Ion Battery for up to 9 hours of battery life between Micro USB charges. Actual battery life will vary with use, settings and environmental conditions. Pair up to 8 Bluetooth ® enabled devices – Connect up to two source devices at the same time. Wirelessly play (stream) to 2 UE ROLLs from one source. Mobile range of play is up to 20m or (65ft). For Audio Playback – Smartphones, tablets and other devices that support Bluetooth® wireless audio profile [Advanced Audio Distribution Profile (A2DP)] or 3.5 mm audio output.